Welcome to the Haydon Kerk and Pittman video library. AMETEK Advanced Motions Solutions - strong brands with strong products. A world leader in our market segments. 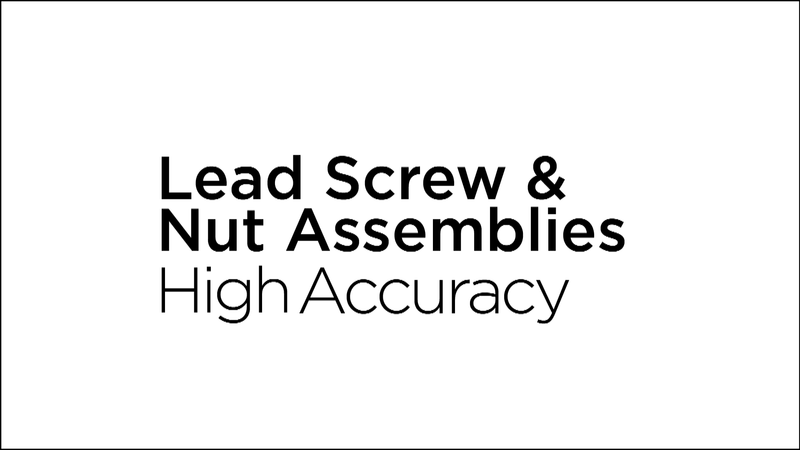 Watch this display of Haydon Kerk lead screw & nut assemblies showing examples of the limitless options available, including custom coatings, custom molded nuts, complex machined features, and much more. Watch this display of Haydon Kerk linear rail systems, showing examples of the limitless options available, including carbon steel, aluminum, and stainless steel material options, proprietary Teflon TFE coatings, fully customized stages, and much more. 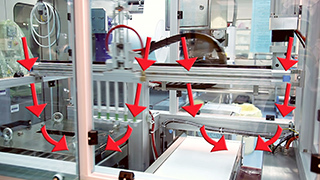 What Is a Dual Motion Hybrid Actuator? See a dual motion linear actuator in action to fully understand what dual motion means and see a few examples of the many types of applications it could be used for. 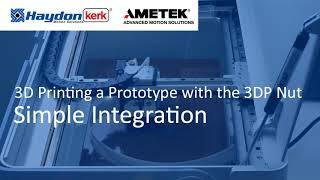 Watch this quick 1-2-3 step video demonstration of how to use the Kerk® 3DP nut with your 3D printed prototype. Are Haydon Kerk lead screw assemblies clean room compatible? Watch the Haydon Kerk Motion Solutions video to find out. This depends on the class of the cleanroom, as well as other factors at play. Watch this quick video to find out more! My Stepper Motor Gets Extremely Hot, Is that Normal? Watch the Haydon Kerk Motion Solutions video to find out. This depends on the motor. Watch this video to learn why and what you can do to minimize this issue. 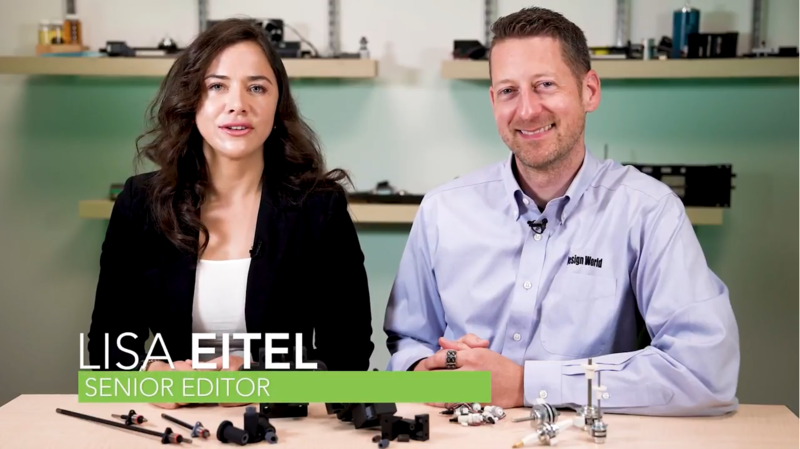 Watch this informative video from Design World about the tribology and material selection for Haydon Kerk's polymer leadscrew nuts, and lubrication options. Can I Run A Linear Actuator Into A Hard Stop? Watch the Haydon Kerk Motion Solutions video to find out. 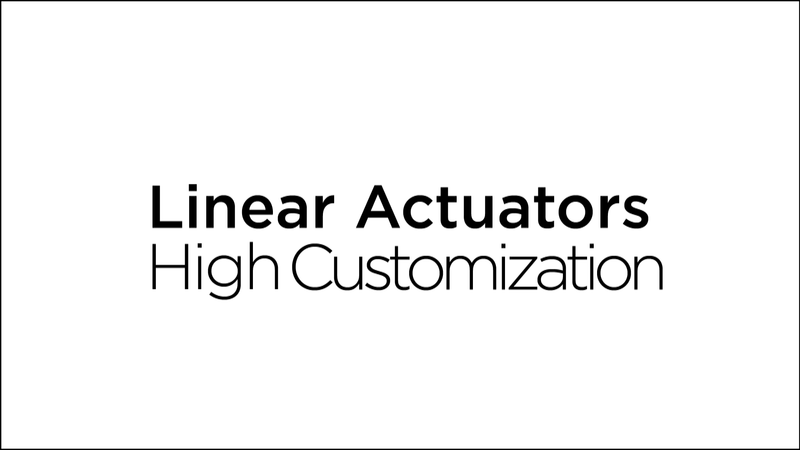 Watch this video to see what factors you need to consider before running a linear actuator into a hard stop. What is a Captive Linear Actuator? Watch the Haydon Kerk Motion Solutions video to find out. 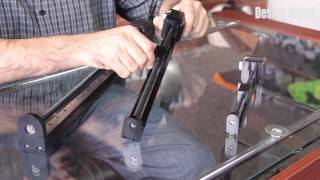 Watch this demonstration showing the technology behind Haydon Kerk's captive linear actuators, how they work, and the benefits it can offer. What is a Non-Captive Linear Actuator? Watch the Haydon Kerk Motion Solutions video to find out. Watch this demonstration showing the technology behind Haydon Kerk's non-captive linear actuators, how they work, and the benefits it can offer. What is an External Linear Actuator? Watch the Haydon Kerk Motion Solutions video to find out. 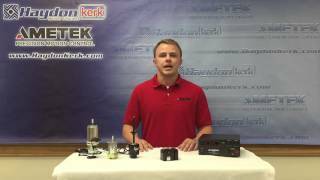 Watch this demonstration showing the technology behind Haydon Kerk's external linear actuators, how they work, and the benefits it can offer. Learn what the key differences between an external linear, non-captive, and captive linear actuator are. The Pittman PBL4850E IDEA Drive brushless motor controller is a servo drive and fully programmable control unit which will simplify your machine building experience. Watch this demonstration on how to connect several different types of motors to this drive. 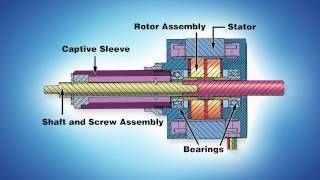 Watch this video to understand the reasons for using gearboxes. Learn about the two different types of gearboxes, see a comparison of the strengths and weaknesses of each, and gain an understanding of the type of gearbox that should be used for different applications. 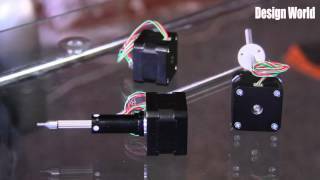 Watch this video to see the range of sizes and configurations available with Haydon Kerk's stepper motor linear actuators and the unique technology behind them. Learn about the advantages of a plastic nut over a traditional bronze nut, including some impressive life test data. Watch this video for an explanation on how to create torque speed and torque current curves, what they mean and how to use them. 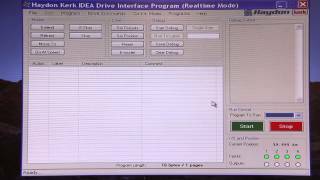 This video introduces the user to the IDEA drive graphical user interface. The video covers part number entry, drive run modes, and various real-time commands which can be performed. A demonstration gives the user a quick insight on how easy it is to setup and run a stepper motor. Various move profile parameters are altered in real-time mode to show the user how a stepper motor behaves with ramping and micro-stepping. Learn how to use the software interface designed to program the IDEA Drive. This intuitive graphical interface allows you to get your stepper motor in motion within minutes. 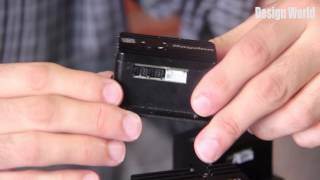 This video introduces users to a closed loop system using our IDEA drive and stepper motor. The video covers our 2 closed loop features on the IDEA drive: stall compensation and position verification: A demonstration shows the user the difference between open-loop and closed-loop configurations and depicts both of the closed loop features. 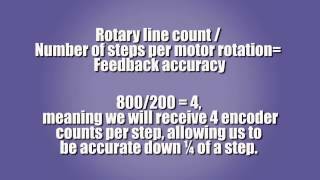 quick insight on how easy it is to setup and run a stepper motor. Various move profile parameters are altered in real-time mode to show the user how a stepper motor behaves with ramping and micro-stepping. Watch this demonstration of how to close a loop on a stepper motor system using an IDEA Drive. The IDEA Drive is a fully programmable control unit that uses an intuitive Graphic User Interface (GUI). The IDEA Drive technology is available in several different configurations including an external programmable drive and controller, or integrated with a linear actuator to form a complete package of motor, actuator, controller, and drive. Communication protocols are available in either USB or RS-485. Watch this video from Design World about Haydon Kerk's IDEA programmable stepper motor controller series key features, available in several different configurations. When specifying a motor or gearmotor, it is important to select the bearing type that is best suited to the application. In this video, we discuss the selection of bearings, and the strengths and weaknesses of sleeve bearings vs. ball bearings. 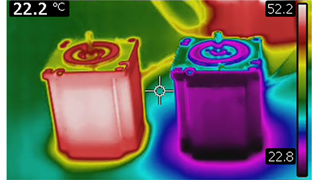 How does heat transfer and temperature rise affect a DC motor? In this short video by PITTMAN Motors, heat transfer and its affect on motor performance will be discussed. Watch this demonstration of how heat transfer effects a Pittman DC motor and how our strategy ensures that a customer's motor is built for worst case conditions. Performance and specifications are also discussed. The BGS Linear Rail system combines many technologies into a single integrated linear motion platform. The system provides excellent load capability and is engineered for both normal loads and moment loads. 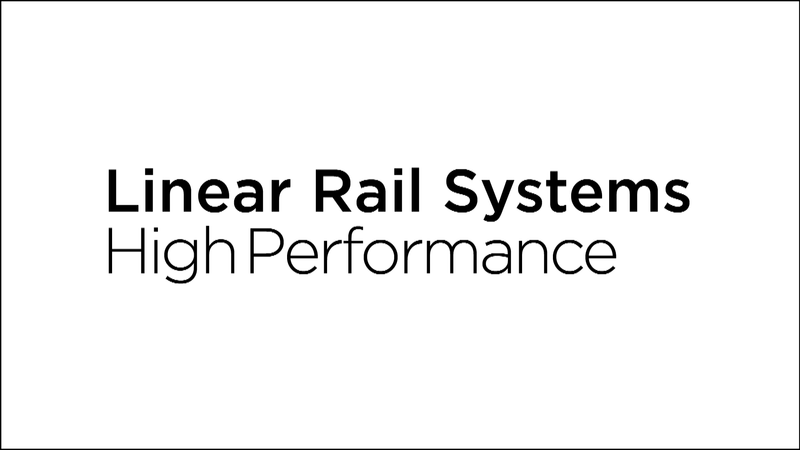 High roll, pitch, and yaw moment load capability allows the linear rail to maintain tight accuracy and repeatability even with significant cantilevered loading. Depending on the rail series, maximum stroke length available is 760 mm (30 in) and static load rating up to 1000 N (225 lbf). Dynamic load capability is a function of the frame size, motor rating, and required motion profile. Watch this quick video from Design World about Haydon Kerk's BGS Linear Rail System and how it combines many technologies into a single integrated linear motion platform. The 43000 Series size 17 linear actuators are Haydon Kerk's best selling framesize. Single stack and double stack stepper motors are available. The linear actuators come in 3 mechanical configurations - Captive, Non-Captive, and External Linear. Linear force range of the size 17 is 50 N to 337 N (11 lbf to 76 lbf). 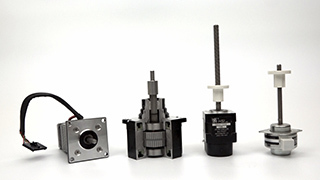 The 43000 Series size 17 linear actuator is Haydon Kerk's best selling frame size. Watch this video by Design World to learn more about this popular product!